Helping your kiddos smile with confidence. As a board-certified pediatric dentist, Dr. Brittany specializes in the growth and development of children, which allows her to provide high-quality dental treatments that will leave your kiddos smiling. This includes partnering with you, the parent, to create a treatment plan that will keep your child’s teeth healthy and beautiful. One of the unique features of our dental office is we do our very best not to use metal materials for restorations (fillings and crowns). 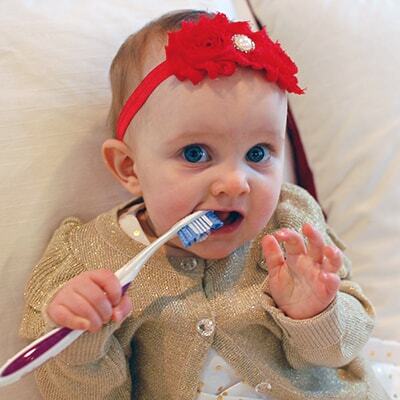 We offer many kid-friendly dental services ranging from preventative care to natural-looking restorations. ...that will leave you and your child smiling. Oral Conscious Sedation: A drink your child will take at the appointment, which will significantly relax them, making them drowsy and possibly fall asleep. IV Sedation: We can bring in a dental anesthesiologist to administer IV sedation for children who need a more powerful sedation method to fall asleep during treatment. As a pediatric dentist, Dr. Brittany specializes in monitoring your child’s growth and development. This includes monitoring issues of crowded teeth, bite issues, and abnormal facial development. Because of this specialty, your Nashville pediatric dentist will asses your child’s growth and development at every checkup and recommend treatment as needed to help correct these issues early on. Nobody wants metal in their mouths; children are no different. When your children are in need of dental treatment, we use tooth-colored materials for natural-looking results. Our restorations keep your child’s teeth durable and free from cavities while the tooth-colored materials make the treatment a secret between you and Dr. Brittany. Nobody has to know your child received dental work. Your child’s healthy, beautiful smile awaits!